This is a young larrea tridentata, center. 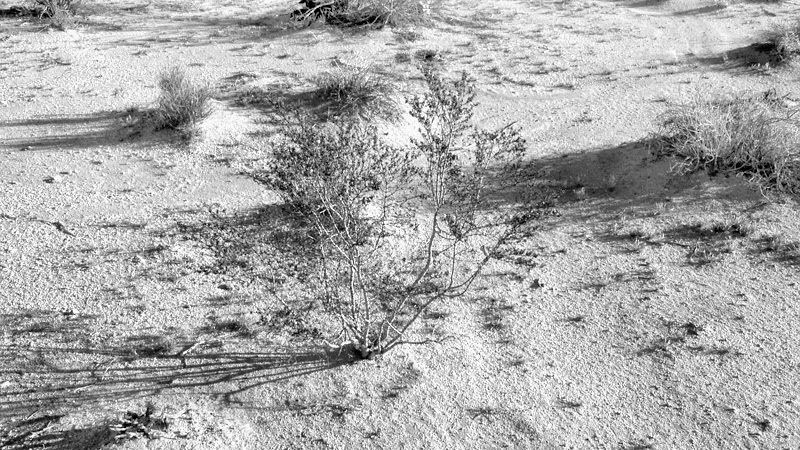 The larrrea tridentata is commonly known by the derogative term creosote, a term testifying to a lack of imagination in the American pioneer/industrialist who saw the desert first and foremost as a wasteland, and its fruits a waste product. You can tell that this larrea is young as it has no hips, it grows straight from the desert floor. There are no other larrea nearby so it may have grown from seed, which is fairly rare as complicated circumstances must conspire to coax a seed to life before it is consumed by quail or finch. 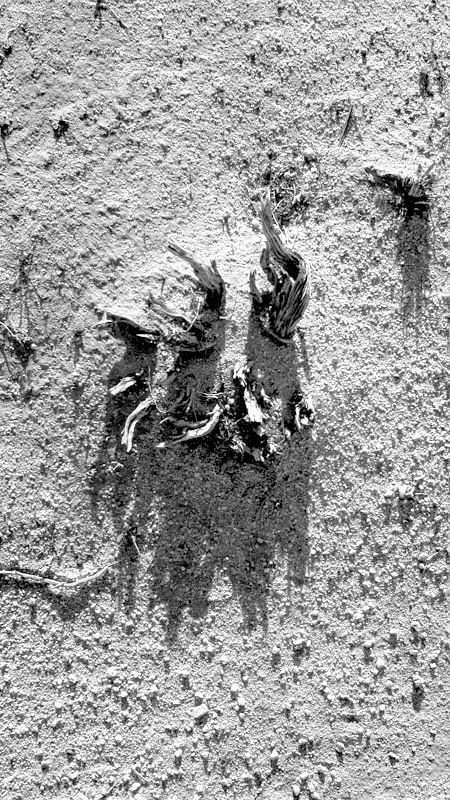 No animals have built burrows between the safety of its roots, pushing up dirt for it to grown on. No droppings or litter feed it. No branches carve out seats in the earth for water to rest on its rare and hurried visits. This larrea may succeed, in time. Or it may fail and mark its time with horns left for the elements to sculpt, still too beautiful to be called creosote.